Medicaid funds nearly all supports and services for children and adults with I/DD, including employment services, personal care in the home, respite, support and supervision through supported living, environmental modifications, therapies, assistive technology. These services allow people to exercise their choice, remain healthy, and live live meaningful and productive lives at home and in the community. Medicaid has you covered. 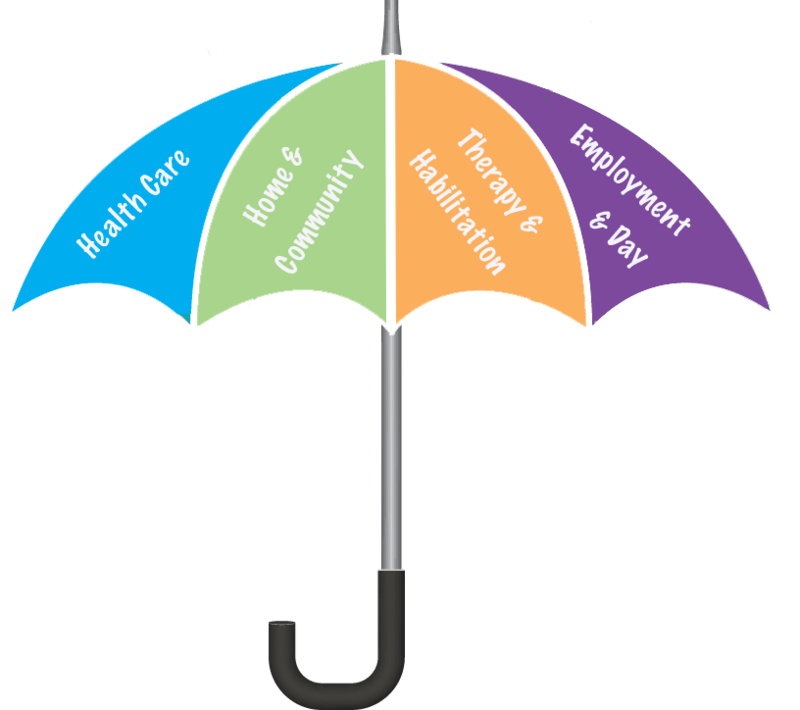 A variety of Medicaid funded programs, such as Apple Health, Community First Choice (including personal care), and DDA’s Home and Community Based Services Waivers provide a broad spectrum of services. Most individuals with I/DD are enrolled in more than one Medicaid program. The list below includes many (but not all) of the valuable services paid for through various Medicaid programs. To find out what you are eligible to receive, talk to your DDA Case Resource Manager.